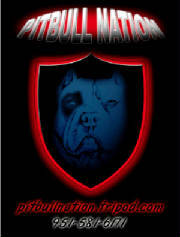 WE AT PITBULL NATION ARE A SMALL KENNEL IN SOUTHERN CALIFORNIA IN THE BUSINESS OF BREEDING BLUE NOSE PITBULLS.WE BREED FOR SIZE AND TEMPERMENT.ALL OF OUR DOGS ARE PART OF OUR FAMILY. THEY ALL COME IN AND OUT OF THE HOUSE AND GROW UP WITH KIDS AND FAMILY MEMBERS SO WHEN IT IS TIME FOR THEM TO LEAVE THEY ARE VERY PEOPLE FRIENDLY. AMERICAN PIT BULL TERRIERS ARE THE PERFECT BREED FOR SOMEONE WITH A LOT OF LOVE AND PATIENCE. THEY ARE GREAT WITH KIDS AND WITH PROPER TRAINING, GET ALONG FINE WITH ALL KINDS OF ANIMALS. THIS IS A BREED THET I AM CONFIDANT CAN LEARN TO DO ANYTHING! THEY EXCELL WHERE STRENGTH AND ENERGY ARE NEEDED. 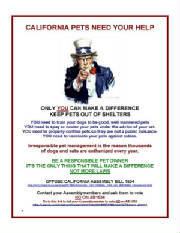 THEY MAKE GREAT FAMILY PETS AND SHOULD BE RESPECTED AND TREATED LIKE A FAMILY MEMBER.AND NEVER USED FOR ILLEGAL PURPOSES!!!! 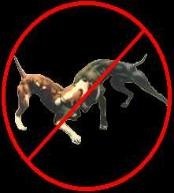 BEHIND EVERY AGRESSIVE DOG...THERE IS AN IRRESPONSIBLE OWNER!!! 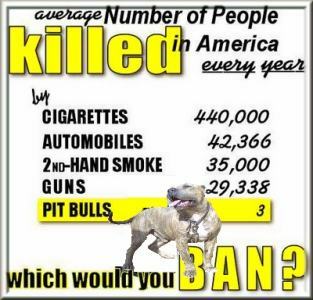 PIT BULLS(APBT'S) ARE A TYPE OF DOG THAT REQUIRE A LOT OF ATTENTION. IN RETURN YOU WILL ALSO GET A LOT OF ATTENTION. THEY ARE GREAT PETS TO HAVE WITH KIDS IF THEY ARE RAISED CORRECTLY. IF YOU GIVE THE DOG ENOUGH LOVE AND ATTENTION, THEY WILL DO ABOUT ANYTHING YOU ASK. THEY DON'T LIKE TO BE LEFT ALONE. (THAT MEANS AWAY FROM YOU). EVEN IF YOU HAVE OTHER DOGS,THEY WILL GET BACK AT YOU FOR LEAVING THEM BY DESTROYING FURNATURE,SPREADING THE GARBAGE ABOUT THE HOUSE AND EVEN URINATING IN YOUR CLOTHES. IT DOESN'T MATTER IF YOU TEACH THEM NOT TO. THEY AREN'TDOING IT BECAUSE IT'S FUN,THEY'RE DOING IT TO TEACH YOU A LESSON. IF YOUR DOG DOES THIS IT MEANS THEY LOVE YOU.THEY JUSTWANT YOU HOME.HOWEVER,THEY SHOULD GROW OUT OF THIS STAGE AT ABOUT A YEAR TO A YEAR AND A HALF OLD. IF THE PROBLEM CONTINUES BEYOND THAT,YOU MAY WANT TO TALK TO YOUR VETERINARIAN ABOUT A POSSIBLE MEDICATION TO STOP THIS BEHAVIOR BECAUSE IT CAN BE A PROBLEM WHEN YOU CAN'T TAKE YOUR DOG EVERYWHERE. THEY LOVE TO BE IN THE HOUSE WITH YOU AT NIGHT AND IF YOU LET THEM IN YOUR BEDROOM,THEY WILL PROBABLY END UP IN YOUR BED.AND ALTHOUGH YOU MAY DISAGREE,A PIT BULL NEVER BELIEVES IT IS TO BIG TO BE A LAP DOG. PIT BULLS NEED ROOM TO RUN AND PLAY.THEY ARE VERY PLAYFUL DOGS AND YOU NEED A BIG YARD IF YOU HAVE MORE THAN ONE OF THEM BECAUSE THEY ARE KNOWN TO KNOCK OVER AND DESTROY THINGS AS MUCH IN PLAYING AS THEY DO PURPOSELY.AND A TALL FENCE IS NEEDED BECAUSE MOST PITS ARE FENCE JUMPERS.